Fries and iWERKS 8/70 Cameras Filming "Lost Kingdom"
DoP Lee Parker is top right, wearing blue jacket. I'm lining up second camera in foreground. 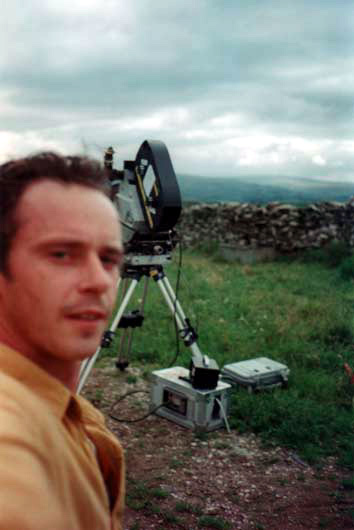 For "Lost Kingdom" (1998, WESTMORLAND FILMS), we used FRIES and IWERKS 8/70 cameras. The IWERKS was such a lovely camera. I ran the Fries 8/65 at 60 fps, and it was a hell of a thing. I was convinced that if the pull-down mechanism went wrong, the whole thing would explode out of the side of the camera and take my head off! There were many other people who shot 2nd unit as well as me. I think five overall. I think about 90-120 seconds of my material made it into the final film. One of the real heroes of the piece was 1st A/C Steve Smith. A miraculous focus puller if there ever was one. Grant is a UK based cameraman, editor and director. He began his film career working as a freelancer in various disciplines including focus puller, gaffer and camera operator. 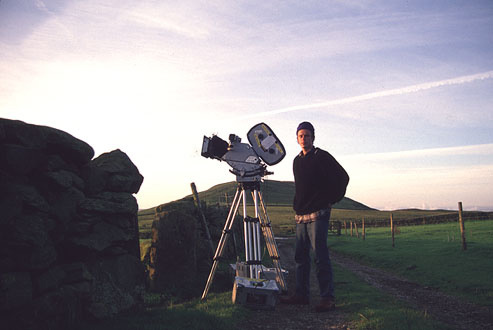 In 1994 I gained a place at the NORTHERN SCHOOL OF FILM AND TELEVISION where I trained as a cinematographer and earned a Post Graduate Diploma in Film Production. Immediately after graduation I attended the THIRD EUROPEAN MASTERCLASS FOR CINEMATOGRAPHY STUDENTS, held in Budapest, where I trained under Billy Williams BSC and Vilmos Zsigmond ASC. 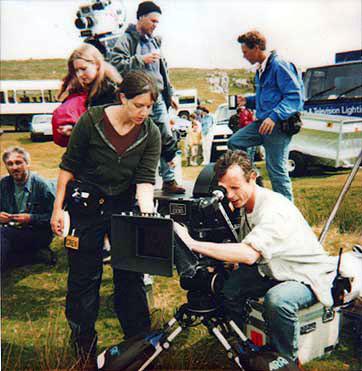 In 1998 I helmed 2nd Unit Cinematography for the UK’s first ever 8 perf. 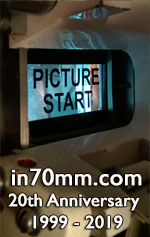 70mm production "LOST KINGDOM". My enduring fascination with large format has seen me attend eight IMAX film conferences worldwide, and 2009's WIDESCREEN WEEKEND event at the Bradford International Film Festival where I was invited to show two pieces. Since 2007 I have since developed a specialisation in digital motion controlled timelapse cinematography, including 4k compatibility with the new planetarium 'FullDome' format, and have collaborated several times with Danish director Lasse Hoile on promos and tour films for DREAM THEATRE, OPETH and PORCUPINE TREE. I have experience in all disciplines of the camera department, in all formats from 8mm to 70mm, from DV to HD. I have shot in France, Russia, the US, Ireland, Egypt and all around the UK, and am a Glidecam Pro and Canon 5D Mk2 + Zacuto system owner / operator. 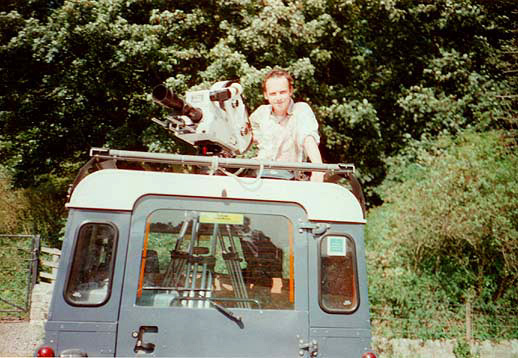 Me in a break from shooting flocks of birds at 60fps on a 300mm, out of a van's sun roof!